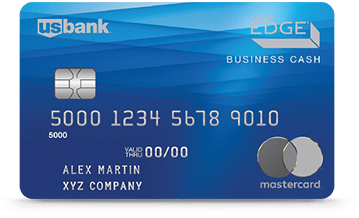 US Bank Business Edge Credit Card is a credit card with no annual fee that allows small business owners to earn unlimited cash rewards on purchases. It gives an annual cash rewards bonus based on the previous year’s cash accrual. We compiled US Bank Business Edge user reviews from around the web and determined that they generally have negative ratings. We also discussed the rates and fees it offers. People who left a positive review of the US Bank Business Edge Credit Card said that they enjoy the 3% cash back on cellular, gas, and office supply store purchases. They said they are happy with the 25% annual bonus (based on the prior year’s cash rewards). People who left negative reviews of the US Bank Business Edge Credit Card said that they are unimpressed with the sign-up bonus of $150 given that there is a $500 spending requirement in the first 90 days. A user who gave a positive review of the US Bank Business Edge Credit Card on CreditCards.com said that he is happy with the cash back rewards program of the card on cellular, gas, and office supplies purchases. A user who gave a negative review of the US Bank Business Edge Credit Card on WalletHub finds the lack of travel benefits attached to this card to be disappointing for a business card. Earn 3% cash back on all cellular, gas, and office supply store net purchases and 1% cash back on all other purchases. An annual cash rewards bonus of 25% is given based on cash accrual from the previous year. There is no limit to the cash rewards that can be earned. Rewards will never expire.